According to the American Society of Aesthetic Plastic Surgery, the number of cosmetic procedures for men has increased by more than 106% between 1997 and 2012. 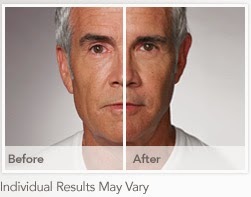 RADIESSE + MEN is an innovative volumizing filler exclusive to men to aid in plumping the skin and eliminating proof of a well-lived life. RADIESSE Volumizing Filler is made from an exclusive natural mineral and is injected through a fine needle that is placed under the skin. It is the only dermal filler accessible that is formulated of calcium-based microspheres and is also clinically proven to stimulate the natural production of collagen. The filler’s results are immediate and add volume under the skin as well as hide the signs of creases and wrinkles. As the mineral in the filler begins to break down, the effects of RADIESS Volumizing Filler proceed while your natural collagen is triggered, resulting in additional structure after the primary results have subsided. The results from the procedure are not only immediate but long-lasting as well, supplying wrinkle release for up to a year or longer in the majority of patients. This procedure is excellent for eliminating lines and creases that have appeared around the nose and mouth. Five central areas where RADIASSE Volumizing Filler can help remove wrinkles and folds are the smile lines, corners of the mouth, marionette lines, chin wrinkle and pre-jowl. If you would like to learn more information about RADIESSE Volumizing Filler or want to schedule an appointment, contact the SHAW Center at (480) 767-1900.